Clara, after a few years of indecision and quiet casting about, decided to become a painter. She was inspired to this, perhaps, by her friend Marta Pizarro. It is typical of Marta Pizarro that whenever she was mentioned, she was deﬁned as the sister of the brilliant (married and separated) Nélida Sara. Before taking up her brushes, Marta had considered the alternative of literature. She could be witty in French, the language her readings generally were drawn from; Spanish for her was no more than a household utensil, much like Guarani for the ladies of Corrientes province. Newspapers had put the pages of Argentina’s own Lugones and the Spaniard Ortega y Gasset into her hands; the style of those masters conﬁrmed her suspicions that the language to which she had been fated was suited less to the expression of thought (or passion) than to prattling vanity. Of music she knew only what any person might know who dutifully attended Concerts. She was from the province of San Luis; she began her career with meticulous portraits of Juan Crisostorno Laﬁnur* and Colonel Pascual Pringles,* and these were predictably acquired by the Provincial Museum. From the portraiture of local worthies she progressed to that of the old houses of Buenos Aires, whose modest patios she limned with modest colours rather than the stagy garishness that others gave them. Someone (most certainly not Clara Figueroa remarked that Marta Pizarro’s oeuvre took for its models the solid works of certain nineteenth-century Genoese bricklayers* Between Clara Glencairn and Nélida Sara (who was said to have fancied Dr. Figueroa at one point there was always a certain rivalry; perhaps the duel was between those two women, and Marta but an instrument. Everything, as we all know, happens ﬁrst in other countries and then after a time in Argentina. The sect of painters, today so unfairly forgotten, that was called “concrete” or “abstract” (as though to indicate its contempt for logic and for language) is one of many examples of this phenomenon. The movement argued, I believe, that just as music is allowed to create a world made entirely of sound, so painting, music’s sister art, might essay colours and forms that do not reproduce the forms and colors of the object: our eyes see. Lee Kaplan wrote that his canvases, which outraged the bourgeoisie, obeyed the biblical stricture, shared with Islam, against human hands’ creating images (Gr. eídōlon) of living creatures. The iconoclasts then, he argued, as breakers of the idols, were returning to the true tradition of pictorial art, a tradition which had been perverted by such heretics as Dürer and Rembrandt; Kaplan’s detractors accused him of invoking a tradition exempliﬁed by rugs, kaleidoscopes, and neckties. Aesthetic revolutions hold out the temptation of the irresponsible and the easy; Clara Glencairn decided to become an abstract artist. She had always worshiped Turner; she set out to enrich abstract art with her own vague splendours. She labored without haste. She reworked or destroyed several compositions, and in the winter of 1954 she exhibited a series of temperas in a gallery on Calle Suipacha—a gallery whose speciality was art that might be called, as the military metaphor then in fashion had it, “avant-garde.” The result was paradoxical: general opinion was kind, but the sect’s ofﬁcial organ took a dim view of the paintings’ anomalous forms—forms which, while not precisely ﬁgurative, nonetheless seemed not content to be austere lines and curves, but instead suggested the tumult of a sunset, a jungle, or the sea. The ﬁrst to smile, perhaps, was Clara Glencairn. She had set out to be modern, and the moderns rejected her. But painting itself—the act of painting—was much more important to her than any success that might come of it, and so she continued to paint. Far removed from this episode, Painting followed its own course. The secret duel had now begun. Marta Pizarro was not simply an artist; she was passionately interested in what might not unfairly be called the administrative aspect of art, and she was undersecretary of a group called the Giotto Circle. In mid-1955 she managed things so that Clara, already admitted as a member, was elected to the group’s new board of directors. This apparently trivial fact deserves some comment. Marta had supported her friend, yet the unquestionable if mysterious truth is that the person who bestows a favor is somehow superior to the person who receives it. “Would you vote for her?” another asked, with a touch of sarcasm. “I would,” replied the ﬁrst, now irritated. That same afternoon, the jury voted unanimously to give the prize to Clara Glencairn de Figueroa. She was distinguished, lovable, of impeccable morality, and she tended to give parties, photographed by the most costly magazines, at her country house in Pilar. The celebratory dinner was given (and its costs assumed) by Marta. Clara thanked her with a few well-chosen words; she observed that there was no conﬂict between the traditional and the new, between order and adventure. Tradition, she said, is itself a centuries-long chain of adventures. The show was attended by numerous luminaries of society, almost all the members of the jury, and one or two painters. We all think that fate has dealt us a wretched sort of lot in life, and that others must be better. The cult of gauchos and the Beatus ille . . . are urban nostalgias; Clara Glencairn and Marta Pizarro, weary of the routines of idleness, yearned for the world of artists—men and women who devoted their lives to the creation of beautiful things. I presume that in the heaven of the Blessèd there are those who believe that the advantages of that locale are much exaggerated by theologists, who have never been there themselves. And perhaps in hell the damned are not always happy. Two or three years later the First International Congress of Latin American Art took place in the city of Cartagena. Each Latin American republic sent one representative. The theme of the congress was (if we may be pardoned the cliché) of burning interest: Can the artist put aside, ignore, fail to include the autochthonous elements of culture—can the artist leave out the fauna and ﬂora, be insensitive to social issues, not join his or her voice to those who are struggling against U.S. and British imperialism, et cetera, etcetera? Before being ambassador to Canada, Dr. Figueroa had held a diplomatic post in Cartagena; Clara, made more than a little vain by the award that had been granted her, would have liked to return to that city, now as a recognized artist in her own right. But that hope was dashed—the government appointed Marta Pizarro to be the country’s representative. Her performance, according to the impartial testimony of the Buenos Aires correspondents, was often brilliant, though not always persuasive. Life must have its consuming passion. The two women found that passion in painting—or rather, in the relationship that painting forced them into. Clara Glencairn painted against, and in some sense for, Marta Pizarro: each was her rival’s judge and solitary audience. In their canvases, which no one any longer looked at, I believe I see (as there inevitably had to be) a reciprocal inﬂuence. And we must not forget that the two women loved each other, that in the course of that private duel they acted With perfect loyalty to one another. It was around this same time that Marta, now no longer so young as before, rejected an offer of marriage; only her battle interested her. On February 2, 1964, Clara Figueroa suffered a stroke and died. The newspapers printed long obituaries of the sort that are still de rigueur in Argentina, wherein the woman is a representative of the species, not an individual. With the exception of an occasional brief mention of her enthusiasm for art and her reﬁned taste, it was her faith, her goodness, her constant and virtually anonymous philanthropy, her patrician lineage (her father, General Glencairn, had fought in the Brazil campaign), and her distinguished place in the highest social circles that were praised. Marta realized that her own life now had no meaning. She had never felt so useless. She recalled the ﬁrst tentative paintings she had done, now so long ago, and she exhibited in the National Gallery a sombre portrait of Clara in the style of the English masters they had both so much admired. Someone said it was her best work. She never painted again. In that delicate duel (perceived only by those few of us who were intimate friends) there were no defeats or victories, nor even so much as an open clash—no visible circumstances at all, save those I have attempted to record with my respectful pen. Only God (whose aesthetic preferences are unknown to us) can bestow the ﬁnal palm. The story that moved in darkness ends in darkness. Jorge Luis Borges, 1899-1986 El duelo, 1970 The Duel. Published in, El informe de Brodie, Brodie’s Report, 1970. Translated by Andrew Hurley. 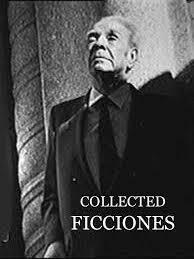 Collected Ficciones of Jorge Luis Borges. Published by Allen Lane, The Penguin Press. Published by the Penguin Group.